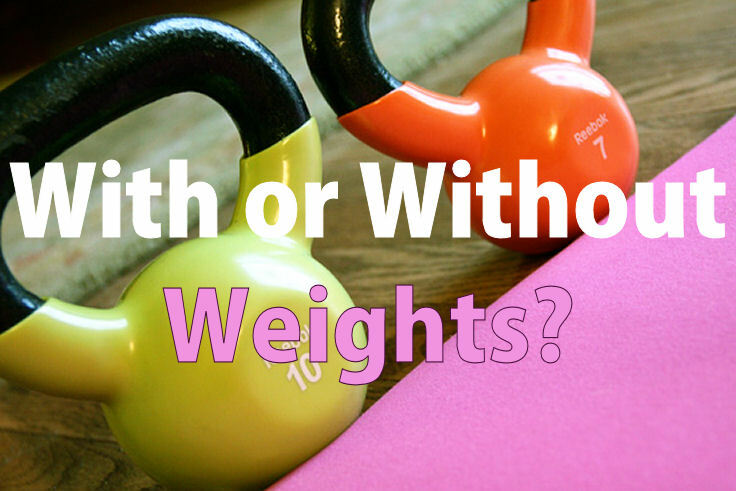 When you think of gaining that perfect body, thoughts of weights may come to mind. Whether this is positive or negative depends on your opinion. While planning a great home workout can include the use of weights, a workout can be done without them. In addition, there are a number of different kinds of weights, if you do decide to use them. One form of weights are known as dumbbells. These are good to use when doing exercises while standing. While dumbbells can greatly tone the muscles in your arms, shoulders, and upper torso, they can also assist in toning your abdominal muscles. Dumbbells can be found in a variety of different weights. When you are beginning your workouts, it is a good idea to start with lighter dumbbells, and increase the weight as your body becomes accustomed to the workouts. A second form of weights are barbells. They are generally used while lying flat. While the power exercise known as bench-pressing is popular amongst professional body-builders and other athletes, you can easily make it a part of your own home workout routine. As bench-pressing places a considerable amount of strain on the body, especially the abdomen, it is essential to choose light weights when you are beginning your workout routines. Otherwise, this strain could cause permanent damage to your muscles. When you choose lighter weights, you can easily work up to heavier weights as your body becomes accustomed to this practice. While dumbbells and barbells are available in various weights, there is an additional feature which can be useful to you. Dumbbells and barbells are both available in a solid, one-piece style, and in a style which allows you to take off and add on weights as your needs change. The latter can be the most beneficial to your workout routine, as you can continue to adjust the amount of weight you use to reflect the progress you make in your workouts. You may also be wondering if you can get that perfect body without using any weights at all. The answer to this is yes, it is possible, but it is likely to take longer. The exercises you do with weights direct the focus to specific points in your body. The use of the weights help these points to tone and strengthen quicker and easier. Power exercises done with weights will give you that perfect body faster, but this does not mean you cannot get the body you want without using them. If you are prepared to work harder and longer, you can reach your goal without using weights. If you have decided that weights are a good addition to your home workout, there are some safety tips to make your workout better, more pleasurable, and without undue risk. Please do not simply order weights and begin using them without considering these tips first. Be sure you choose the right weights. If you are not accustomed to using this kind of workout equipment, it cannot be stressed too strongly that you should select light weights. Whether you are considering barbells, dumbbells, or both, you do not want to put too much strain on your body and risk injury. Ensure your safety when you work out with weights. While this is true for exercising in general, maneuvering weights in a standing position means wearing appropriate workout gear. You should have sneakers or similar shoes with non-slip rubber soles. You should also avoid wearing clothes that are too loose, or long sleeves. It is also important to be sure that you are working out on a safe floor. Slipping or falling can be especially dangerous if you are working out with weights. You should avoid floors with rugs, carpeting, tile, and other potentially hazardous material or coverings. Whether you create your own home gym, or simply devote one particular part of your home to a workout space, you must keep your safety in mind when you work out with your weights. Working out with weights can give you that perfect body! It will also invigorate your entire system. Your heart and lungs will greatly benefit when you make working out with weights a part of your home workout routine. If you keep all of these tips in mind, start slowly, and do not demand overnight results, you will be amazed at how quickly you do begin to see results. Your body will not only feel stronger, it will actually be stronger. The new tone you will see in your muscles will be beyond compare. That perfect body you have always dreamed of will be more than just a dream – it will start to take shape, and be in the best condition of your life. Did you like the post? 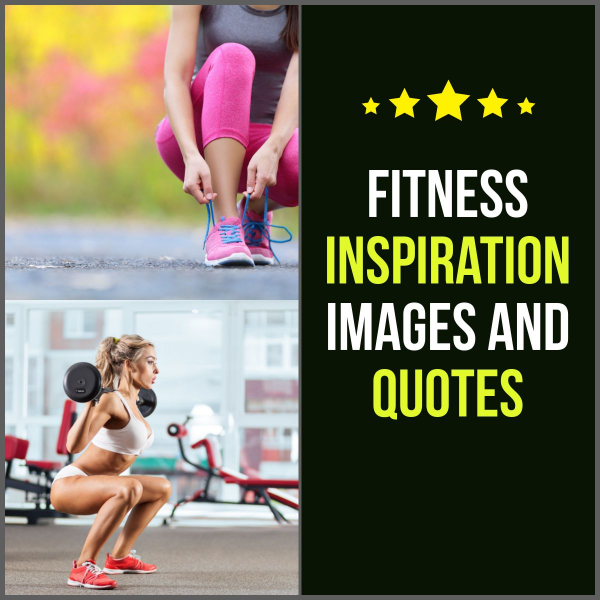 Subscribe to Weekly Fitness Tips newsletter! Should I Stretch Before Workout? Please note that some of the links included on this website are affiliate links, and at no additional cost to you, we earn a commission if you decide to purchase using these links. WeeklyFitnessTips.com is also a participant in the Amazon Services LLC Associates Program, an affiliate advertising program designed to provide a means for website owners to earn advertising fees by advertising and linking to amazon.com.